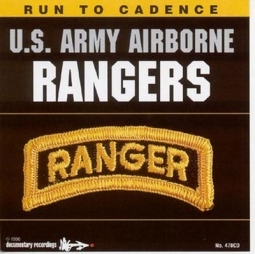 Military run to cadence Cd's and Armed Forces workout and instructional DVDs. If you’re looking for an interesting alternative to the usual military gift or item, check out our military videos, DVDs, and Cd's. Get fit QUICK with one of our intense workout DVDs for Marine Corps and Navy Seals or do an extreme training exercise with our L.I.N.E. training videos. If you’d rather sit back, relax, and enjoy some music—we have that too! 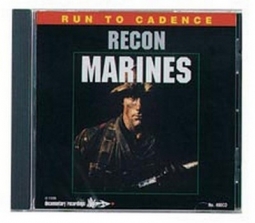 Check out our Marines and U.S Infantry audio Cd's. Many young men and women planning on entering the military find these workout tools can get them in better shape before their first day. The Run To Cadence audios can be helpful to professional athletes or to anyone running a marathon. When you run to cadence, you are essentially learning to increase your RPM's, so a running to cadence CD is a great training tool for runners. If you are looking for an online Army Navy store that offers military training Cd's and video's, you've come to the right place. You've come to Army Navy Shop!